I keep hearing about the freezing conditions, airport and road closures and deep snow back home, so even though it's unusually cold in Florida for this time of year, I'm really pleased to be here! And when I stumbled upon Mable Ringling's rose garden at Ca d'Zan in Sarasota, I thought of all my gardening friends in England and smelled the roses for you. The roses are in full bloom right now - some 1,100 varieties - and they're a real reminder of English summer - for those of us who can remember it! 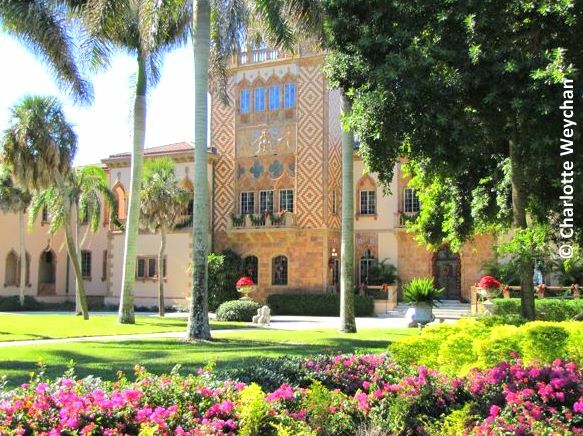 Ca d'Zan is part of the Ringling Museum complex in Sarasota - a Venetian Gothic-style mansion built as a dream house for circus magnate John Ringling and his wife Mable - designed by New York architect Dwight James Baum, and completed in 1926. Ringling was a formidable art collector and the museum collection houses some of the finest work by Rubens, Gainsborough and Titian, and although Mable shared his passion for art and travel, she was the keen gardener and loved roses. Mable's rose garden is quite lovely and you'll find roses of every conceivable colour and variety here, including one I've never seen before - the Green Rose (below) which comes from China. 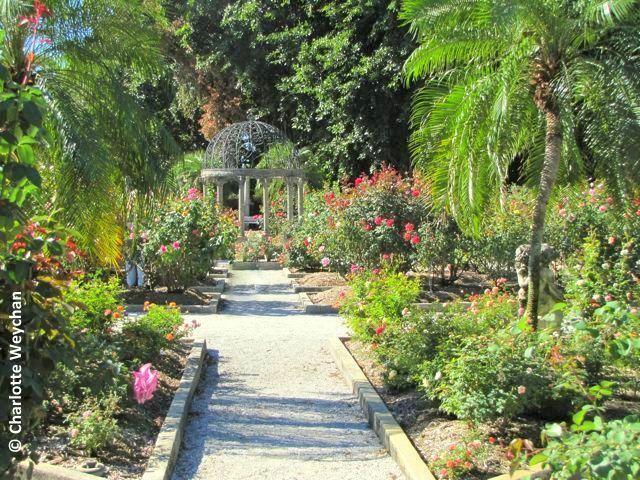 Every rose in the garden is labelled and although none of the shrubs survive from Mrs Ringling's day, the gardeners continue to introduce new varieties each year and the circular rose garden is lovingly maintained. In Mable's day, the roses were replaced every two years without fail to keep them looking at their best, but with modern care and the range of plant food, pesticides and care, they survive for much longer. 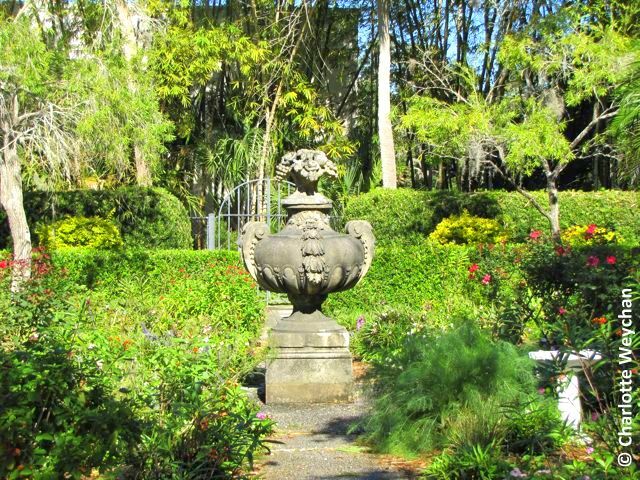 Another part of the garden that's well worth visiting is "The Secret Garden" (below) - a charming small garden also created by Mable Ringling - and she and her husband are buried behind the gates you see at the back of this plot. 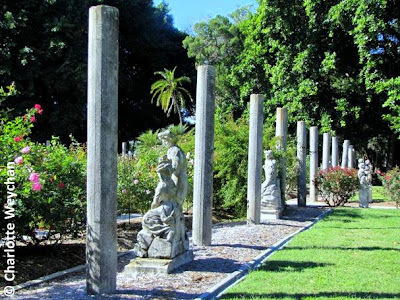 The Ringlings certainly left a wonderful legacy for Sarasota and Mable also founded the Sarosota Garden Club when she lived here - this charming garden is just down the road from the museum and also worth visiting if you're in the area. I'm off to Key West next week, looking at some of the gardens down there, including one that few of you will yet have heard about, so more from there next week! And I hope the snow melts soon for all of you back home in England. I was supposed to fly home this week, but with Gatwick airport closed for two days, it gave me the the perfect excuse to stay here in warmer climes. looks lovely Charlotte, we still have snow and ice and they are talking about it continuing till the new year, i would'nt rush back if i were you..enjoy! 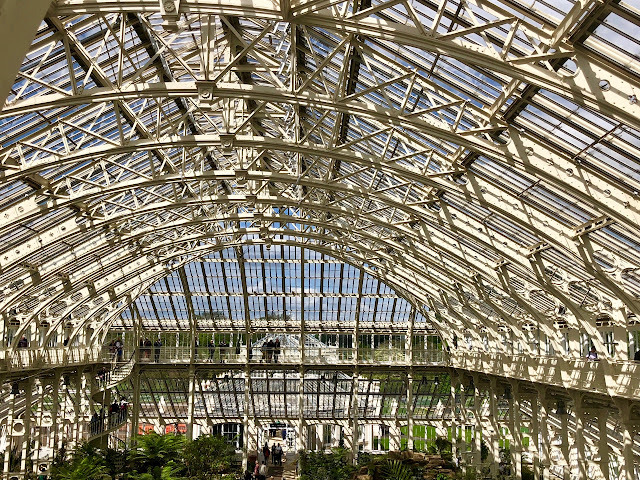 You are excused on the "I" gardens. 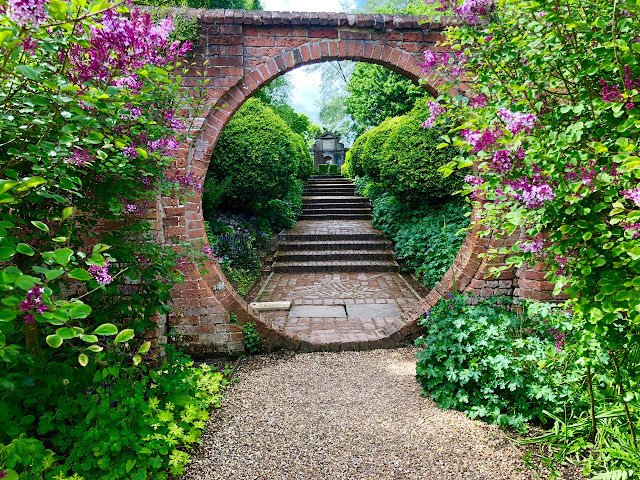 Only because this was a great post on Mable's garden and you had a good excuse in snow delay. She was a wonderful gardener, but I am not sure I would want to be buried in my garden, no matter how beautiful. Hello Charlotte... 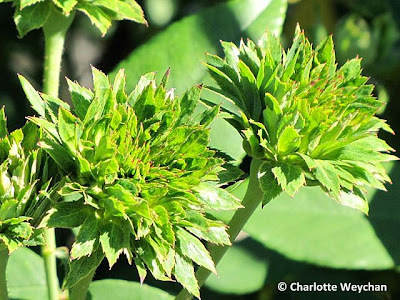 Thank you for visiting on my blog "Le jardin de Cheneland' in France. Your blog is also very beautiful. I"ll come visit of ten.